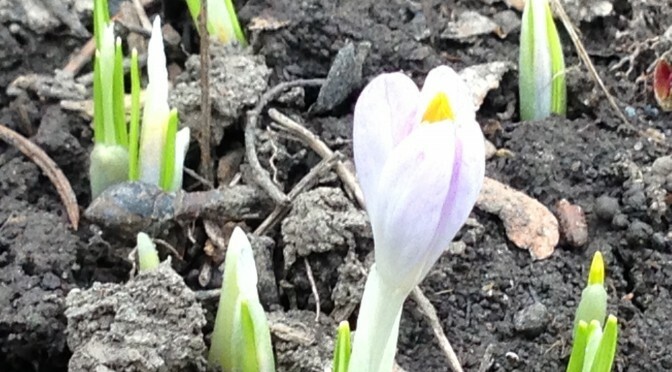 I’m using the first mini-crocus of spring as inspiration to jump start my genealogy blog. I was overwhelming myself by thinking that I needed to get Henry Hays’ full story online. Instead, I’m going to start with the articles and headlines that marked the end of his life. 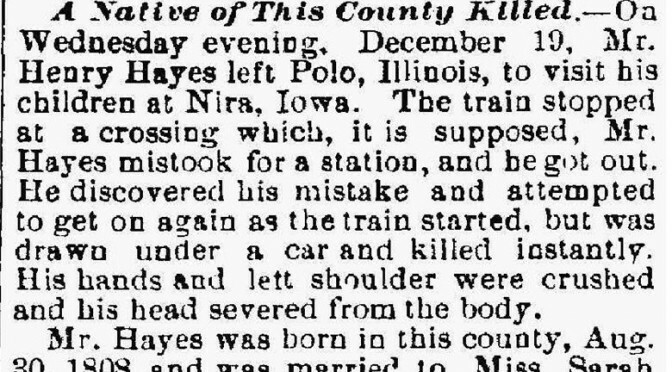 If you are researching another root of Henry Hays’ tree or another Hays/Hayes line out of Ogle county, email me at julie@hayska.org or subscribe to this blog. HAYSKA stands for Hays Kinship Association. My goal for the association is to support and collaborate on research the various Hays/Hayes lines. Email julie@hayska.org and let me know who you are researching.